Hamzah Hassan, 22, imam at Bradford’s Jamia Masjid Ya Rasool Allah mosque for 2014-2017 and now at the Central Oxford Mosque. Photographed in Leeds shortly after finishing his undergraduate degree there in August 2017. 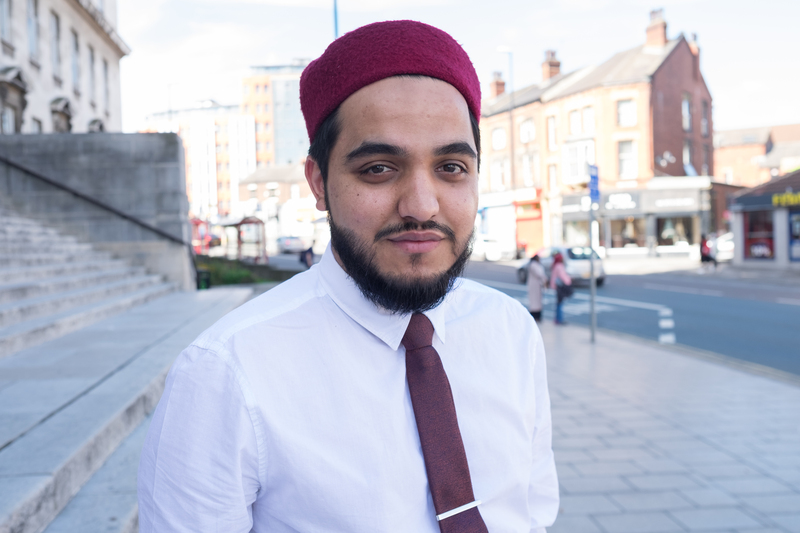 “I enjoy being an imam because you have power within your community, you have a say, you have a voice that’s being heard. I think the imam has one of the most important roles in society. It’s a powerful role and that power should not be abused. I began traditional Islamic studies, alongside school, at a young age. My family accepted Islam many generations ago and, in every generation of my family, we’ve had a leading Islamic scholar or Islamic doctor. Nearly all of them have been imams. I was appointed as one of the imams at my local mosque in Bradford when I was 18. I’ve just finished a BA in Arabic and Islamic Studies at Leeds University, and I’m going to Oxford to do my Masters. I believe an imam, like any religious leader, should have certain training and qualifications.